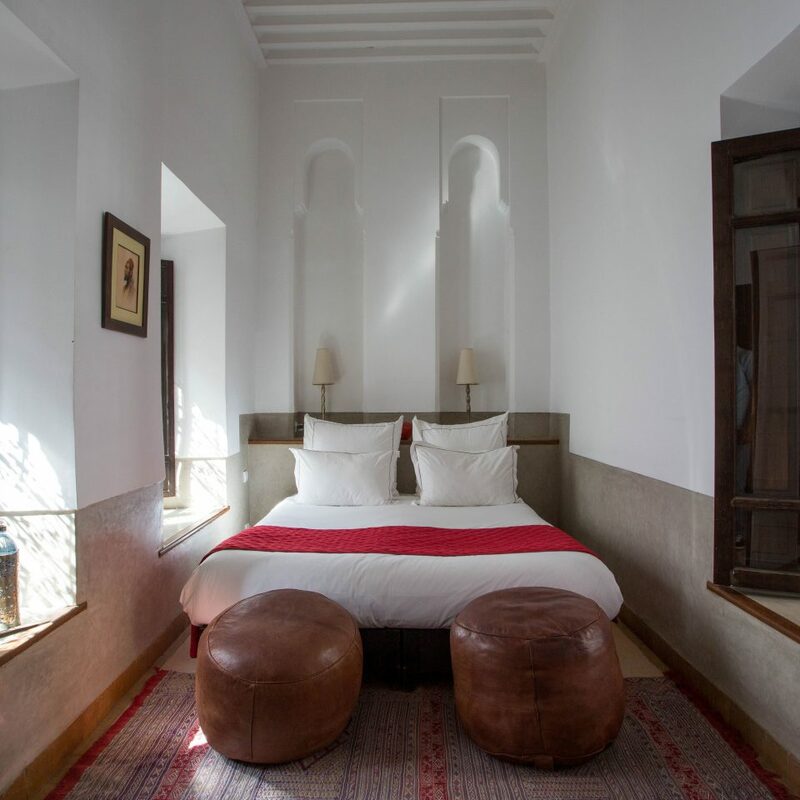 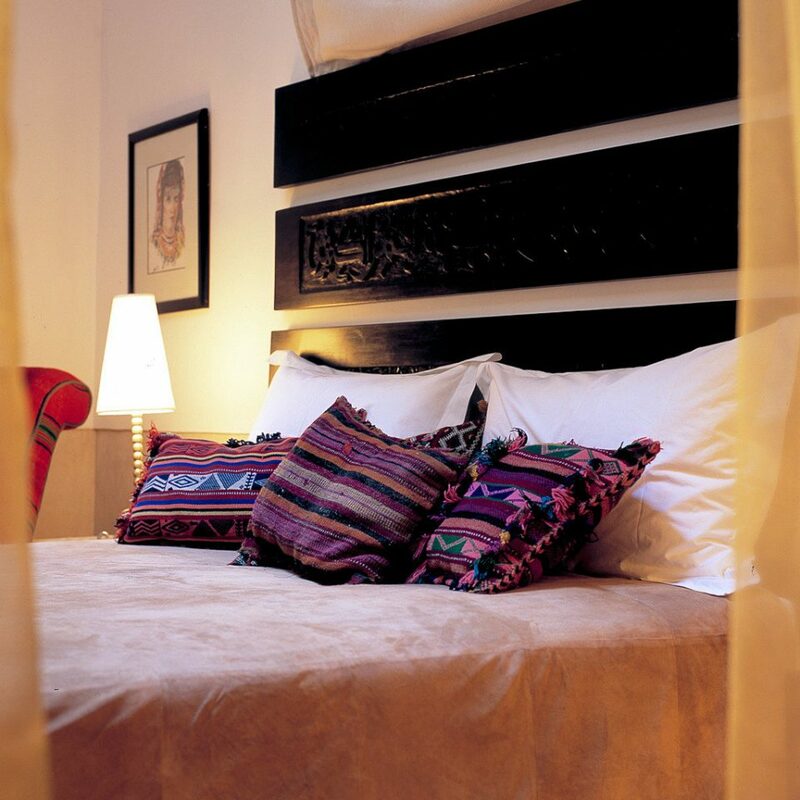 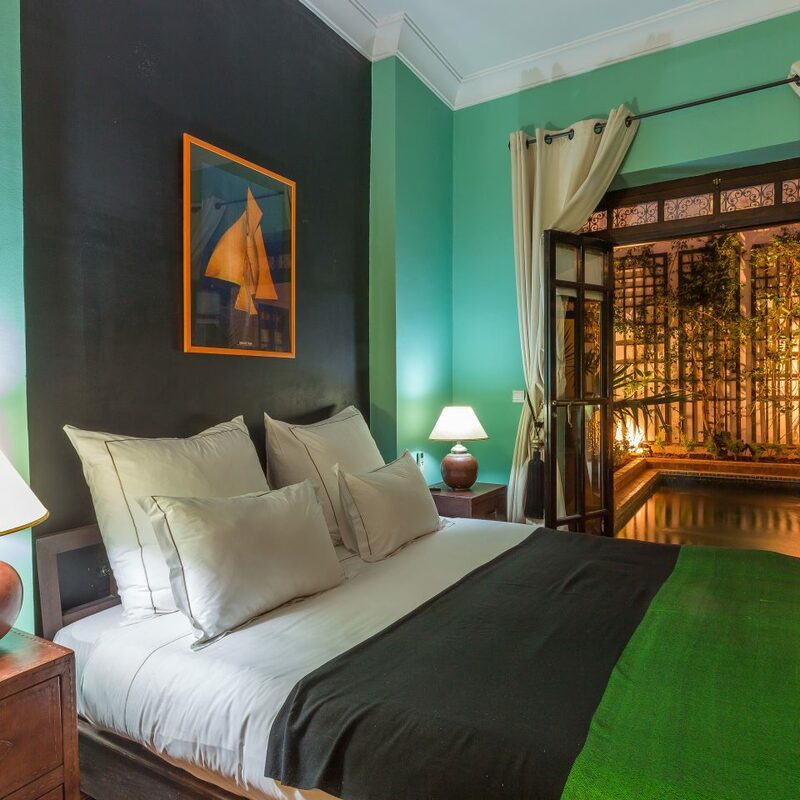 Within the medina walls in Marrakech’s Bab Doukkala neighborhood, the Dar Vedra is an authentic 18th-century riad with just six rooms and a family apartment. 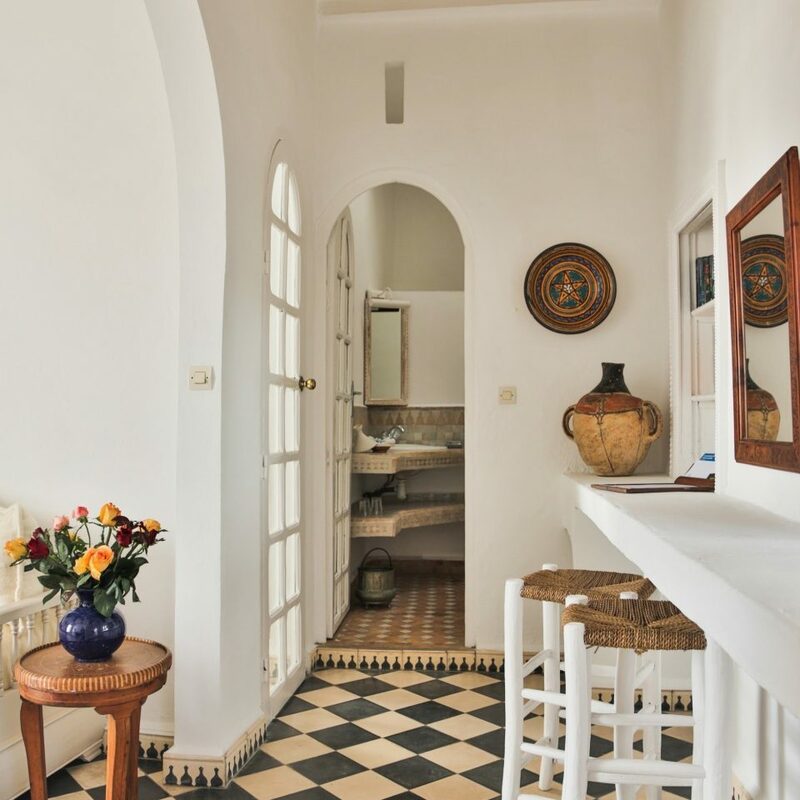 Set around two courtyards, this charming property has a small plunge pool and a colorful roof terrace with views across the city and to the snowcapped Atlas Mountains. 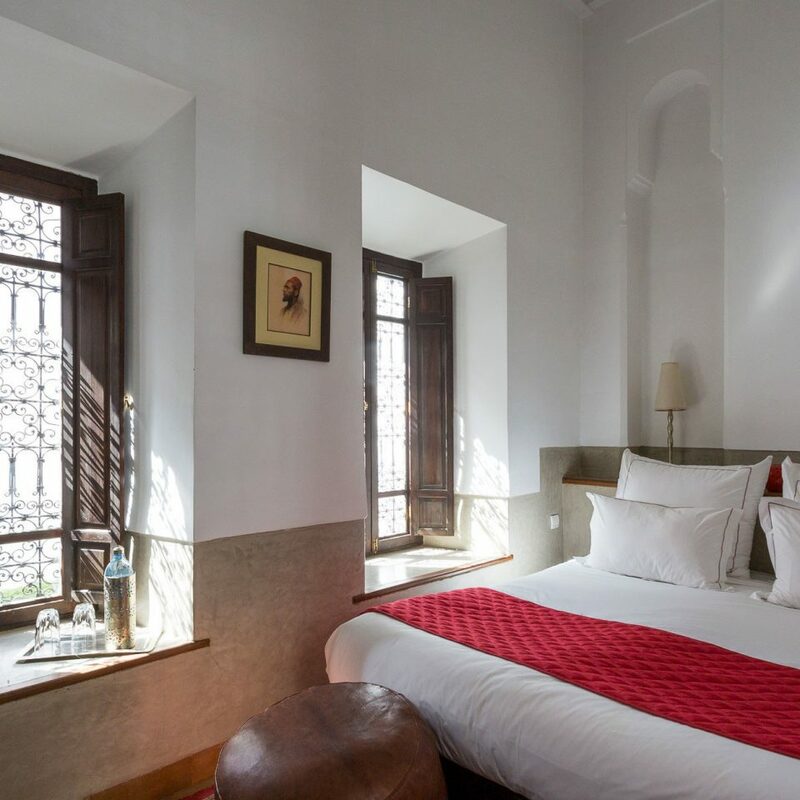 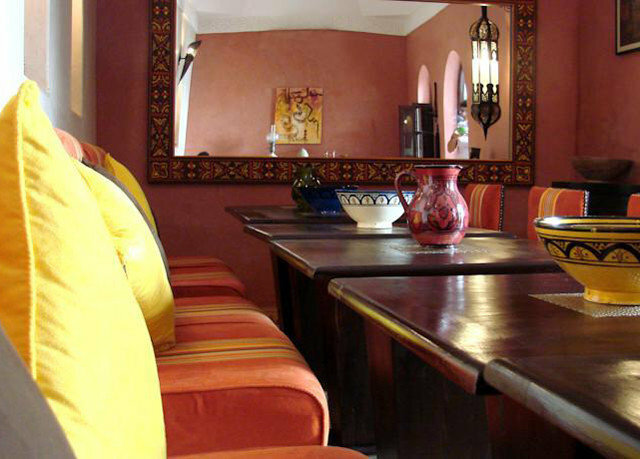 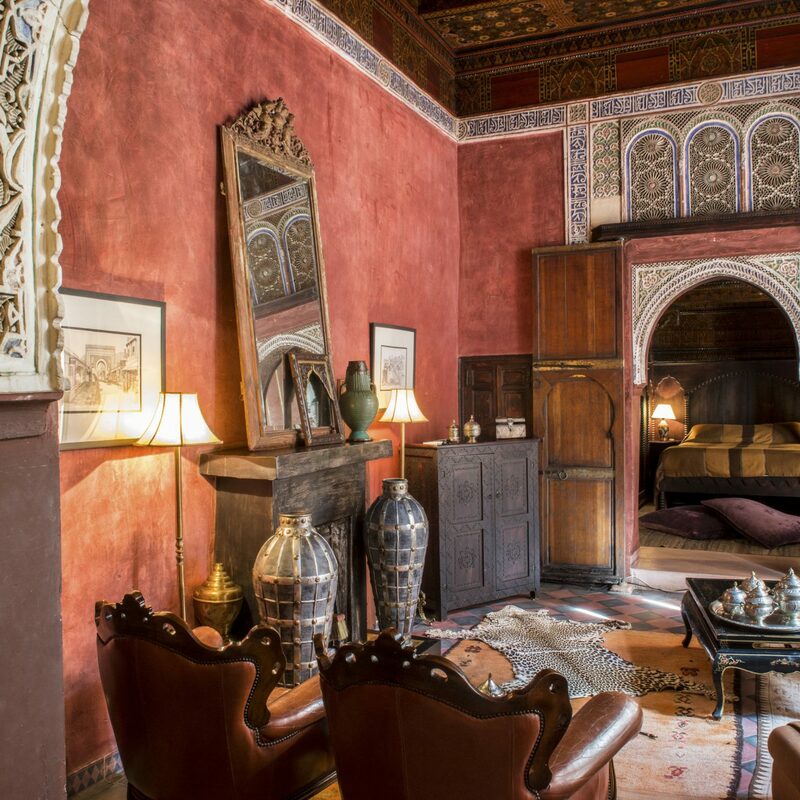 Each of the rooms opens out to a patio, and the traditional decor incorporates brightly colored tadelakt (an ancient Moroccan plastering technique), intricate tilework and delicate iron window shutters. 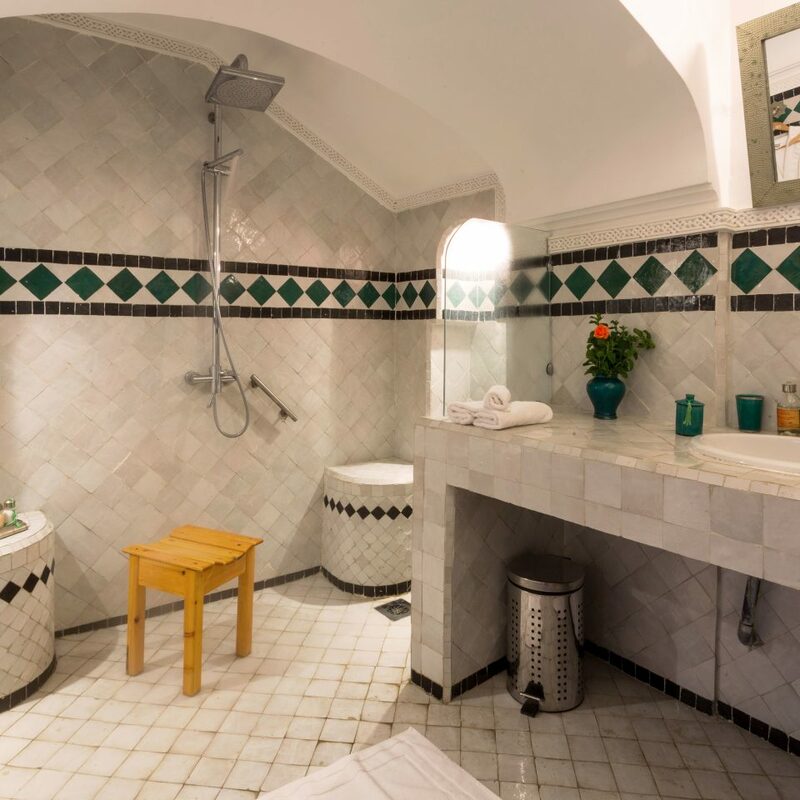 The rooms are small but cozy; the Single measures just 65 square feet, and the largest Deluxe Room is 161 square feet, but all come with a hammam-style bathroom. 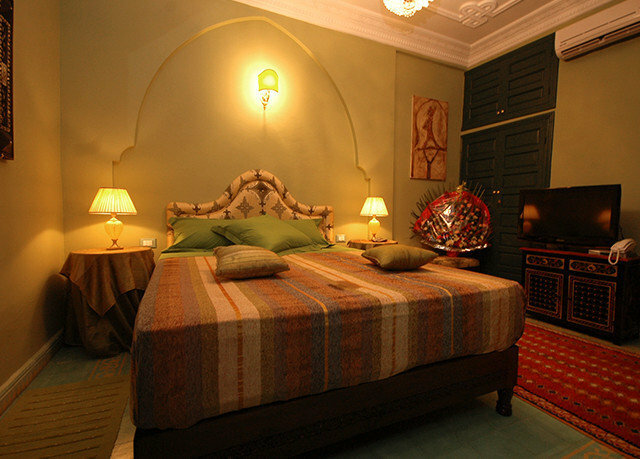 The Douairia Suite is a former private residence turned family apartment that sleeps up to seven guests on two levels. 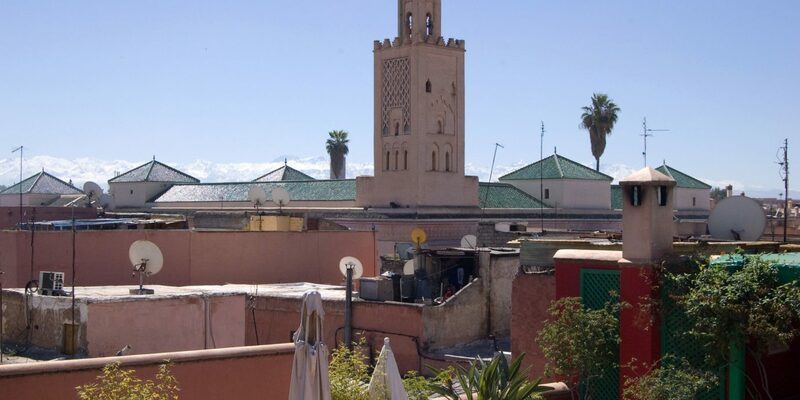 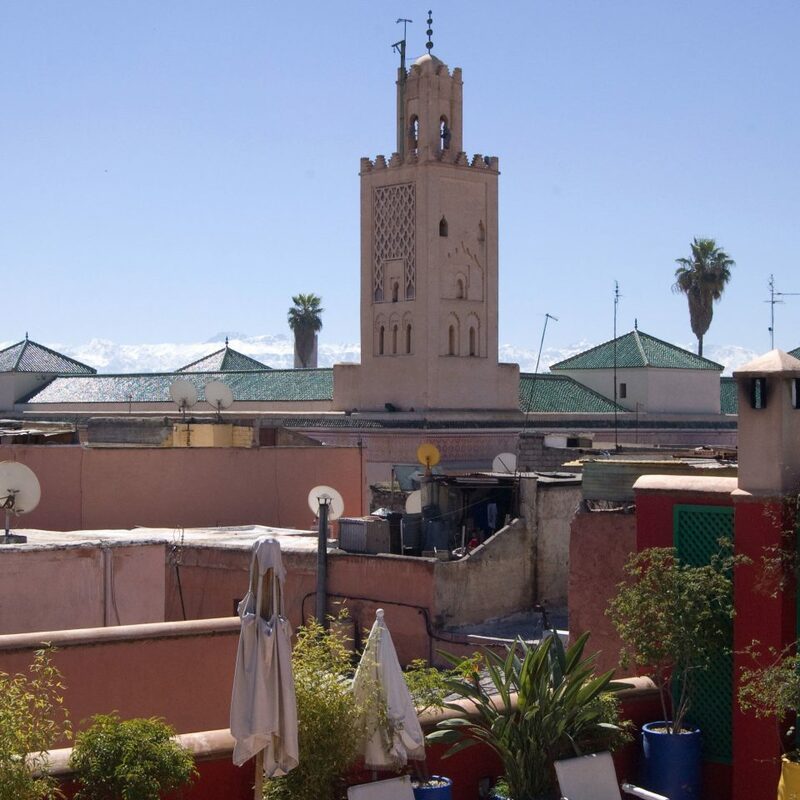 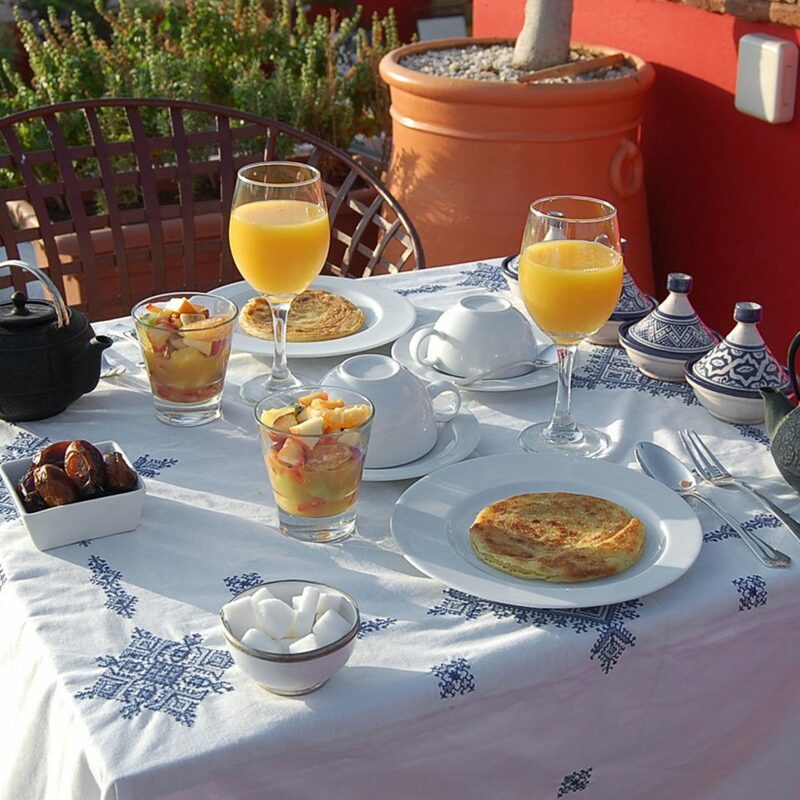 Start the day up on the roof with a hearty Moroccan breakfast including pancakes, pastries and fresh bread from the nearby Bab Doukkala market. 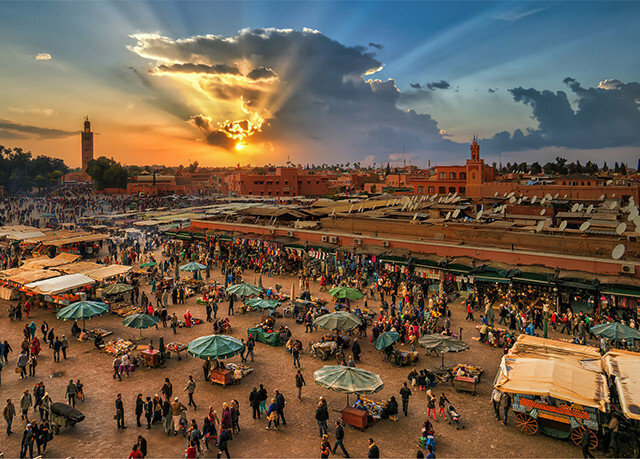 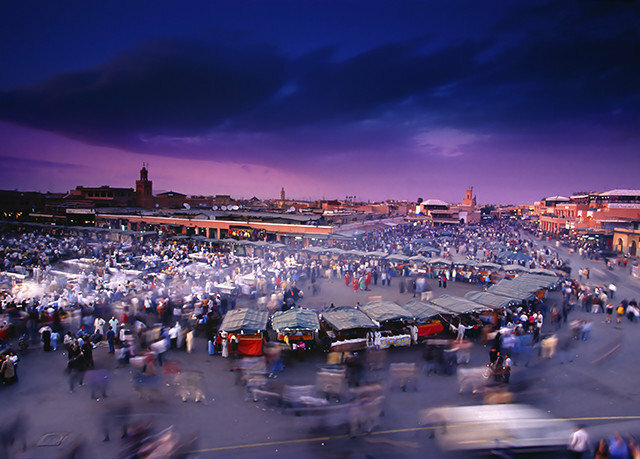 Inevitably, you’re going to get lost in the mind-boggling maze of the medina, Marrakech’s walled old town and circus of humanity, but that’s half the fun. 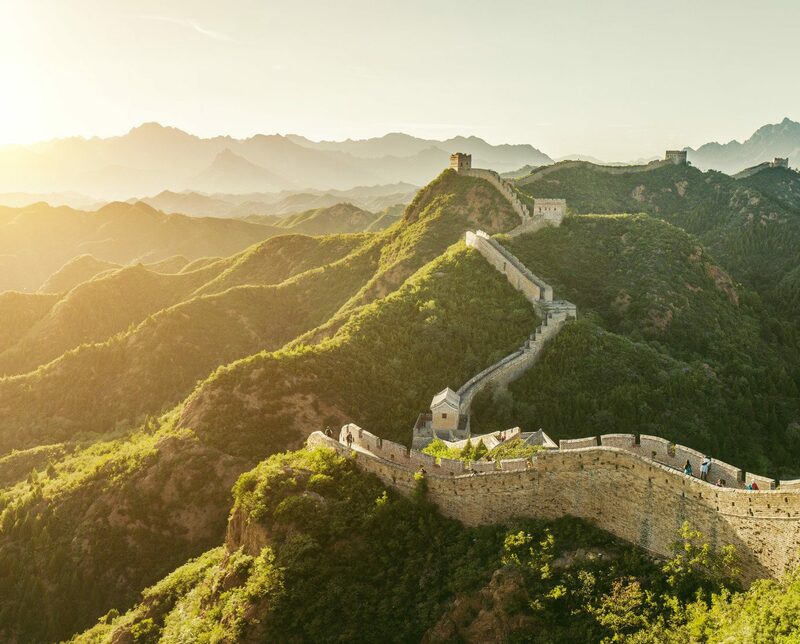 The trick is to look purposeful and politely decline any unsolicited “help” — it inevitably involves an awkward detour to some third-rate shop, or worse. 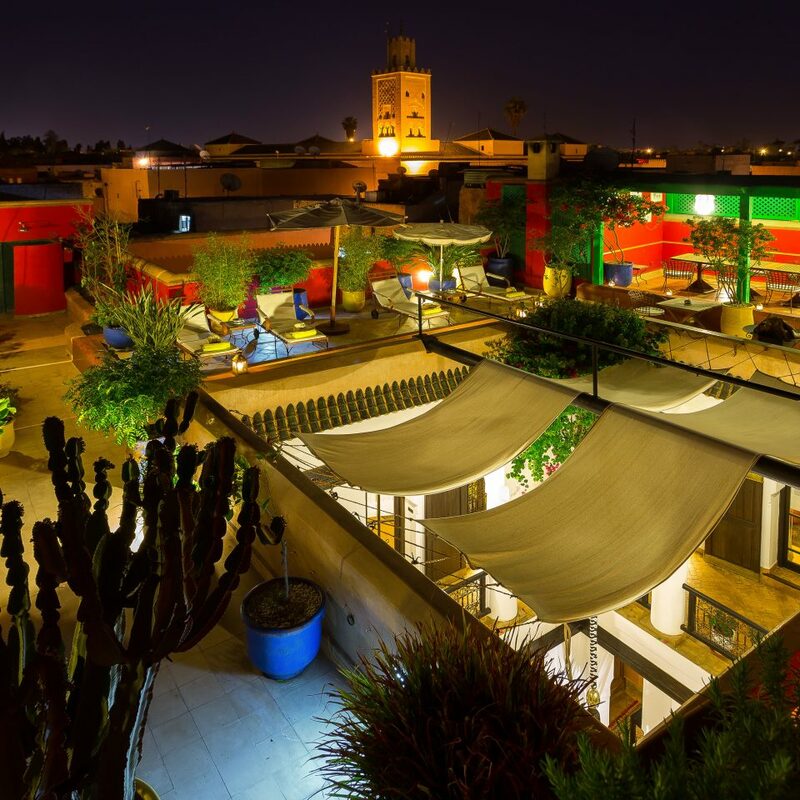 Eating options abound, and there’s nothing quite like getting up above the rooftops, particularly in the early evening, at a place like Restaurant Le Fondouk, to hear the call to prayer echoing over the city. 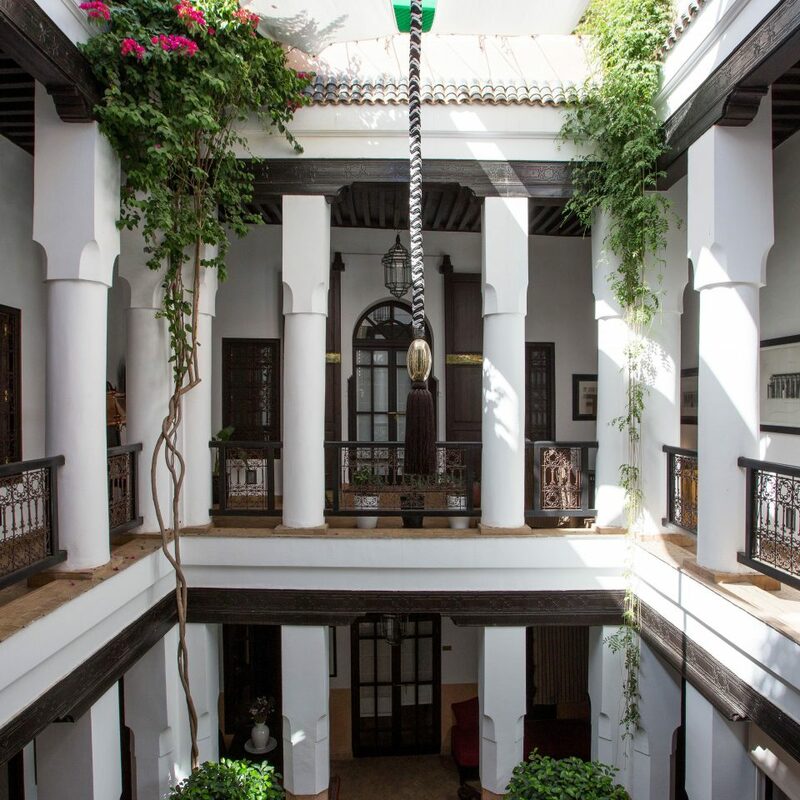 Farther afield, the Grand Café de la Poste, at the Corner of Boulevard el-Mansour Eddahbi and Avenue Imam Malik, is a sublime fusion of French cuisine and Moroccan hospitality.